I once was an Alzheimer activity assistant at a senior living facility. My first day on the job I witnessed a man fighting and running away from his caregivers for bath time. At noon, I saw a lady being spoon-fed puréed chicken, rice, and peas. When I was preparing to leave at 5 pm, I noticed the noise level of the halls had simmered down. The majority of the residents were now resting. I left that day feeling heartbroken and frightful. I didn't know how I would be able to converse with the residents let alone complete several activities throughout the day. As a humanist, I inherently knew that despite their diminishing brain; their body and soul was very much present. It was then that I decided I would be fervent, not frightful. Alzheimer’s is just one form of dementia. As defined by the Alzheimer’s Association. 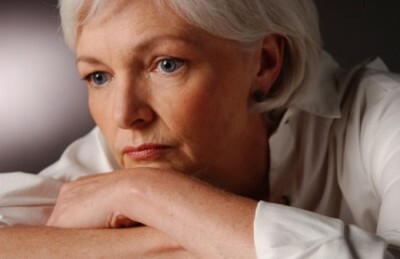 Dementia is a general term for the decline in mental abilities severe enough to interfere with daily life. The symptoms of the disease cause problems with memory, thinking, reasoning and behavior. Dementia ranges in severity from the mildest stage, when it is just beginning to affect a person’s functioning, to the most severe stage, when the person must depend completely on others for basic activities of daily living. Depending upon the form of Dementia, the disease may progress slowly or rapidly. Even though this disease is heavily associated with the elderly, you can experience your first clinical symptom in your 30’s. The manifested symptoms of the brain include memory loss of recently learned items, difficulties and challenges in planning tasks, language problems, and unpredictable behavior. Estimates vary, but experts suggest that as many as 5.1 million Americans may have this disease. For more information on symptoms and what is age appropriate forgetfulness vs. Alzheimer’s visit www.alz.org. As of now, there is not a cure, however, early detection can help in creating and managing a care plan. Take an old shoe box and wrap the top and the bottom of the box in wrapping paper. Place photos, letters, and keepsakes in the box. Feel free to add items you know have personal meaning. 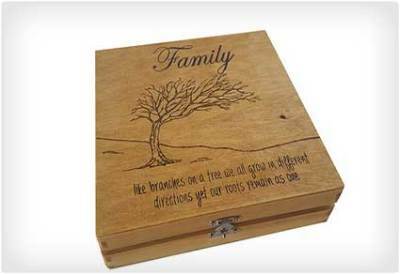 Place the box in a space that is frequented by your loved one. They can open it and take trips down memory lane as often as they like.